Voice synthesis software and eroge company mascots get scads of figures but fighting game characters are mostly an afterthought in the corporate mindset of figure makers. Heck, I’ve got another Super Sonico on order and another one still in its box, and I’ve got an unopened Miku Hatsune figure sitting on the stack, waiting for me to build her machine of joy. 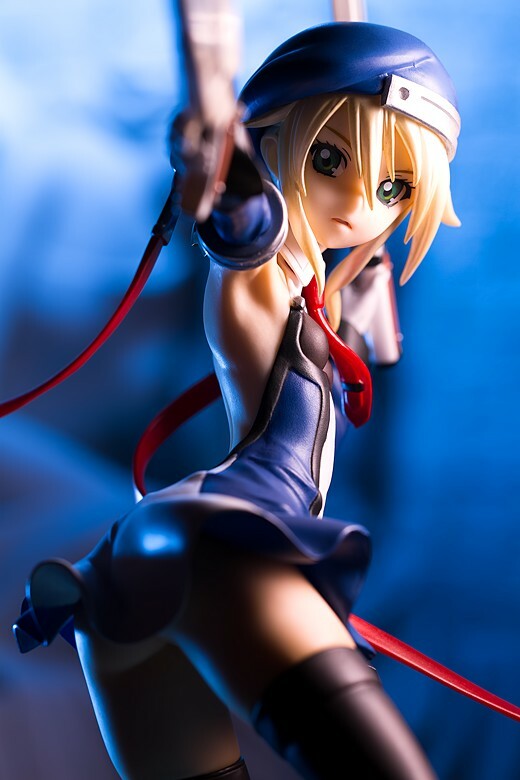 If you’re looking for a figure of a fighting game girl, you’re going to have to look at Kotobukiya’s Tekken figures or Hobby Japan’s Queen’s Gate series, which is where this version of Noel Vermillion comes from. There ought to be more figures of fighting game characters, and of the fighting game characters who deserves figures, Ivy Valentine should be near the top of the list. She has one of the most easily-identifiable designs in fighting games, she is one of the mainstays of one of the best fighting game franchises in existence, and yet, only three or four figures have ever been made of her, and one of those is from Todd McFarlane’s toy company. Fortunately for Ivy fans, Hobby Japan has recently shipped a brand new figure of her as part of their Queen’s Gate figure lineup. Unfortunately, it’s not quite as good as one might have hoped for. Curiously, figure manufacturers don’t often look to fighting games. I’m not sure why; fighting games are rife with awesome and awesome-looking characters. Okay, Iroha briefly achieved it-girl status and Mai Shiranui, Cammy, and Mina Majikina get figures every now and then, but there’s nothing from Tekken, nothing from The Last Blade, nothing from Virtua Fighter. Even the Dead or Alive, Soul Calibur, and The King of Fighters series – which feature some of the most iconic fighters in video games – are barely represented in the figure hobby. There are no scale figures of Helena or Lisa, Sophitia or Seung Mina, Kula Diamond or Mars People. 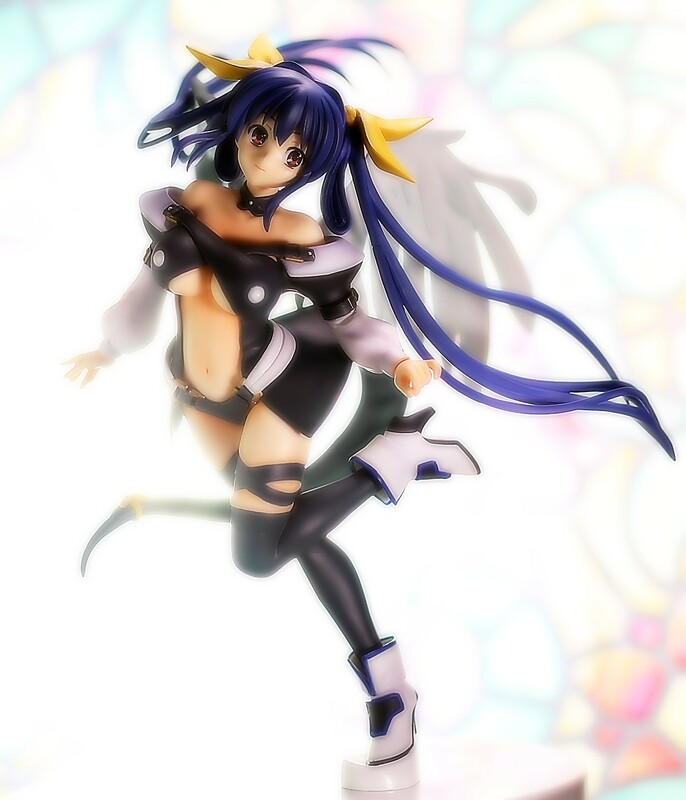 Above all of those, I’ve wanted a figure of Dizzy. She’s my favorite character in all of fighting games, but apart from Max Factory-produced figures of a Shunya Yamashita-inspired I-No and the transvestite Bridget, there seemed to be no inclination on the part of figure manufacturers to look at Guilty Gear X. 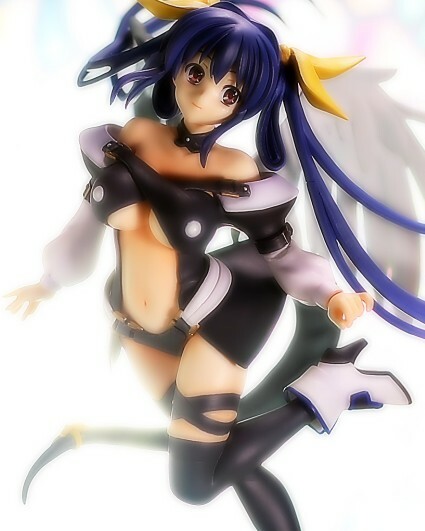 But fortune works in strange ways, and thanks to the popularity of the Queen’s Blade series, there is now a figure of Dizzy, the Guilty Gear X character who was adapted into a Queen’s Gate book, which is itself an adaptation of the Queen’s Blade series, which is itself an adaptation of Scottsdale, Arizona-based (of all places) Flying Buffalo’s Lost Worlds game books. Strange ways indeed.